Visitor Question: I live in an HOA with deed restrictions in Florida. We have one Master Association with rules that we have to abide by. Our Master Association does not require any application for replacing windows, but I live in one of the sub associations and the Board president told us that we need to put grids in our windows (just the two front windows that face our street) anyway. In their documents it states that we have to follow the Master Association rules, which as previously stated do not require any approval from the main board. Our original windows were installed in 1985 and do not comply with Florida's newer law of replacing windows in your house. 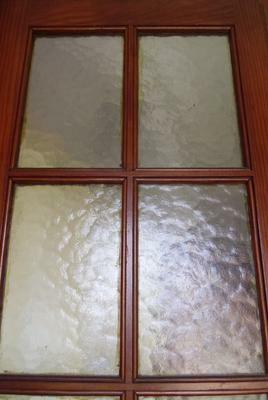 With the newer technology in the construction of energy efficient and hurricane resistant windows, the windows have a different color due to blocking out heat from the sun. So with these newer windows you can hardly see if grids are in the window. I cannot find anything in our CCR's about having grids in the windows. This is 2017, not 1985. So would I need to submit plans for the new windows if the Master Board does not require a permit? The only stipulation is that we get a permit from our local county officials. Editors' Reply: Although you ended with a single question, we sense that really you have two questions. First you want to know if you really have to install windows with real or fake grids. (The real ones are called muntins.) Then second you want to know if you need any permission from you condo association or sub association for the windows, or if the permit from the county is sufficient. Without having the entire Master Deed at our disposal (and since we are city planners too), we cannot say for sure whether or not you really have to install windows with muntins, or at least windows with imitation muntins on the inside and outside window surfaces. However, our advice is that you go ahead and do so, since you only have two windows. The architectural appeal of windows with a grid or grille is often higher than that of a single large piece of glass. The slightly higher cost usually will be more than offset by the increase in property value. We are using the terms often and usually because an exception might occur if you are the first or only unit on your block to install the divided lite window style, or if your architectural style is starkly contemporary. If you want to fight the issue of the apparent requirement for divided lites, it is worth your time to seek out a member of the main HOA board or its president, and to ask the question there. Consider also the major expense of legal fees if the HOA or sub association decides to take you to court or fine you. Secondly you are asking if you need to receive a permit from the main HOA if their own CCRs state that no permit is needed. We advise that you go ahead and rely on their wording in the Master Deed, and skip asking the main HOA board for a permit. We are assuming that you are installing the energy efficient and hurricane impact resistant windows on your own and paying for them on your own. If this is part of a program of the HOA to replace and pay for windows, you probably would approach them about whether they want to give you a permit. Otherwise just go confidently to your county government and meet their requirements.